I am unable to describe (in words or pictures) the rain on the leaves, the rooster caws, the incense smoke from the morning offering, and the silence in the soundscape. There is no distraction and nothing else to do except for a sun salutation. And another. And then a padangusthasana, a padahastasana, a trikonasana, and onward, and inward. Stiff shoulders and tired thighs are to be acknowledged, nothing more or less. Yoga is not about stretching to reach the next pose, but about the process that happens in any pose. It is not about just striking a pose that looks kind of right, but making sure that it is grounded, and centered around breath and gravity. 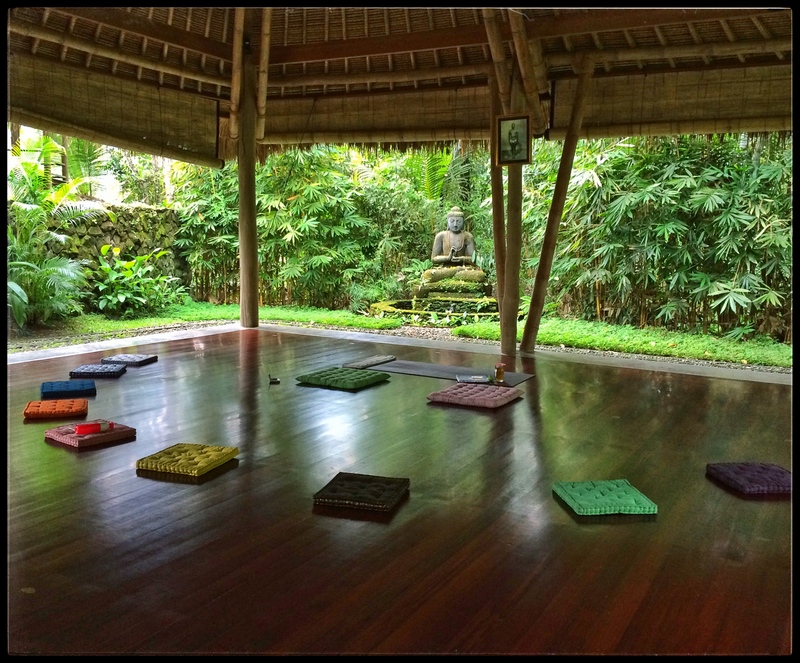 Yoga is also about accepting that a knee injury requiring surgery means going back to the basics and then rebooting the system of practice. And it is understanding that not many people master to truly live while surviving intact throughout life. In the last 4 years I have not only crashed and burned, but also experienced my first emergency surgery, my first stitched wound, my first broken bones, and my first sports injury. The 31 years before kept me unscathed. 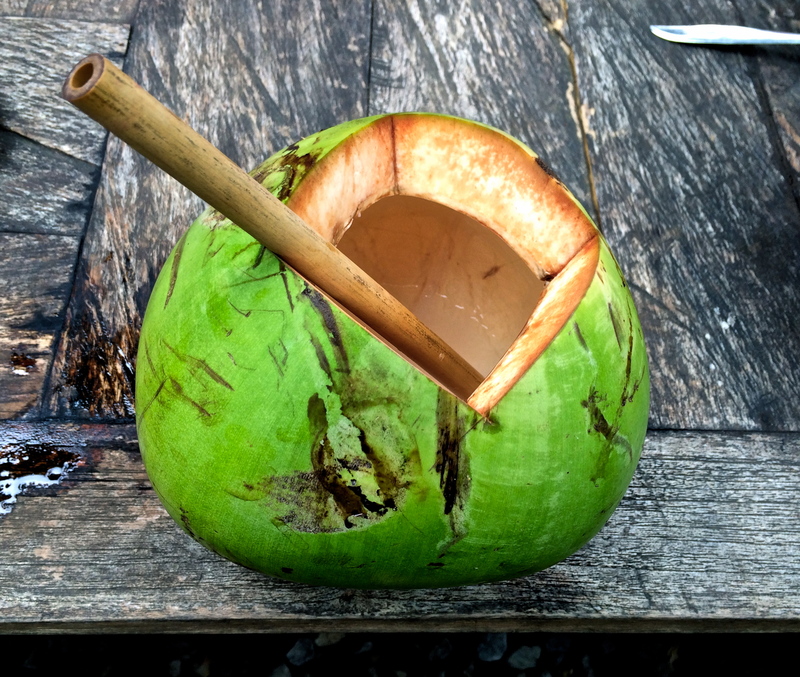 As I sipped my daily post-practice coconut water, I could not help but wonder whether yoga means living in it all, or living despite of it all? 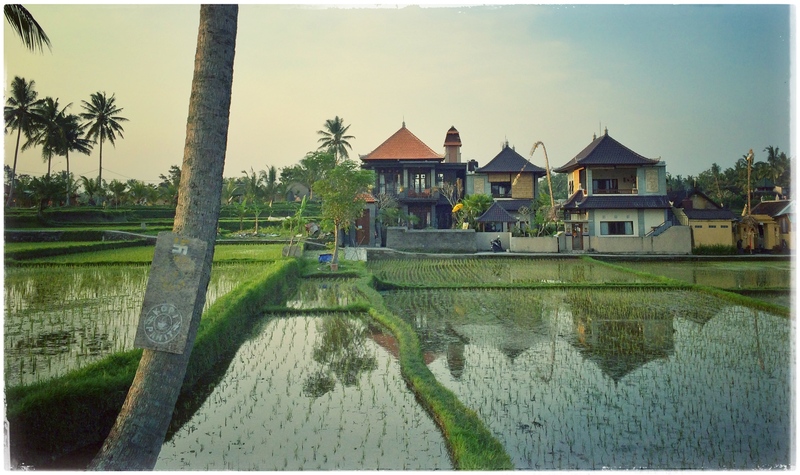 Categories: Travel | Tags: Bali, Indonesia, thoughts, yoga | Permalink. 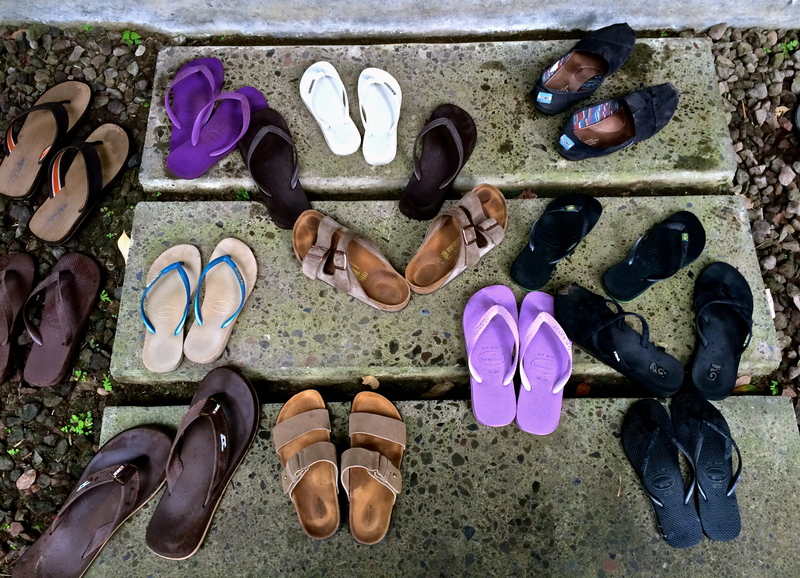 There were new friends, and a path away from Ubud to the rice paddies, where the air is clean. 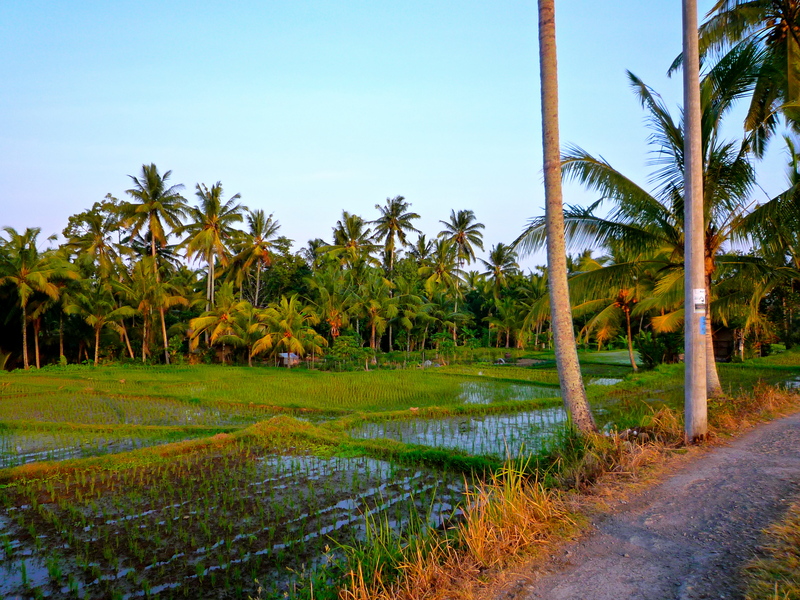 There were newly planted rice greens, and palm trees. 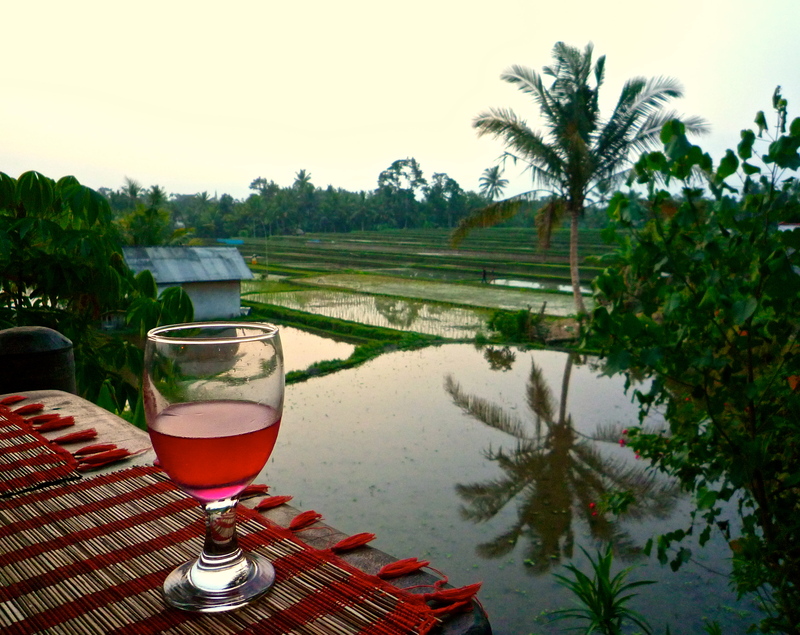 There was a famous sunset over the rice paddies – somewhere hidden behind the clouds. There was really bad fruit wine, and tales of unlikely career choices: horseback endurance riding through the Arabian desert, smelling out new healthcare solutions that sometimes seem like science fiction, and the choice of comfort versus chasing something that makes a heart beat faster from fear or thrill or both. On the way back in town there were glow worms and fireflies lighting the path. As we passed their morse code of flickering lights we must have missed great secrets or serenades. Life is only as much as you can perceive and absorb – even if it is all displayed in front of you for the taking. Live today. Tomorrow you can’t anymore. There was a throng of men cheering on at the temple, and I was curious. More men were hurrying up the stairs, carrying what looked like shopper baskets. Pushing past the elbows I ended up in the front row – of a cockfight. Two beautiful roosters were almost ready to fight – or rather, their owners considered them ready. As a last step, the poor birds were irritated until the verge of aggression by making their beaks touch and fluffing up their neck feathers. Let down on the dirt floor they will only see one another as an enemy to kill, and fight with metal hooks on their legs until death. The losing human owner loses his pride and losing betters sometimes even lose their farm. And one bird loses its life. Every time. 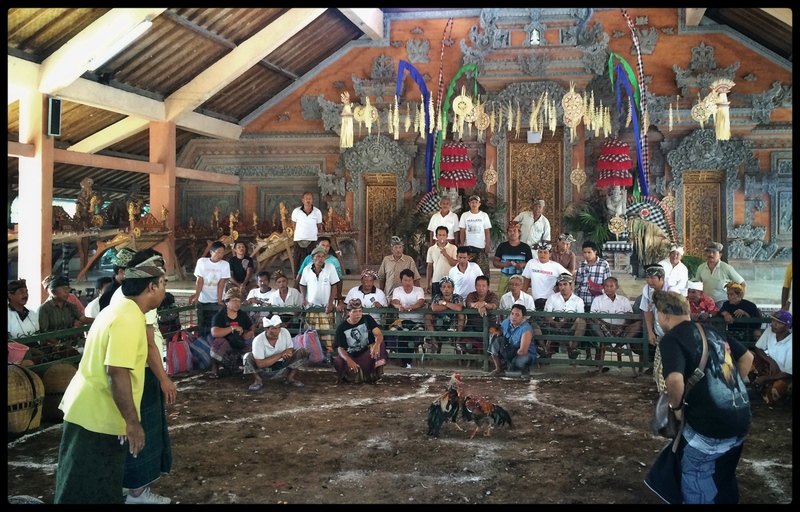 Cockfights are not really allowed on Bali and gambling not at all, but each temple is obligated to host one fight per year to appease the gods. Whatever happens after the first blood is shed is superfluous culture. The gods will not care one way or the other. And so, it is not really the cockerels that fight; it is the human (male?) ego. 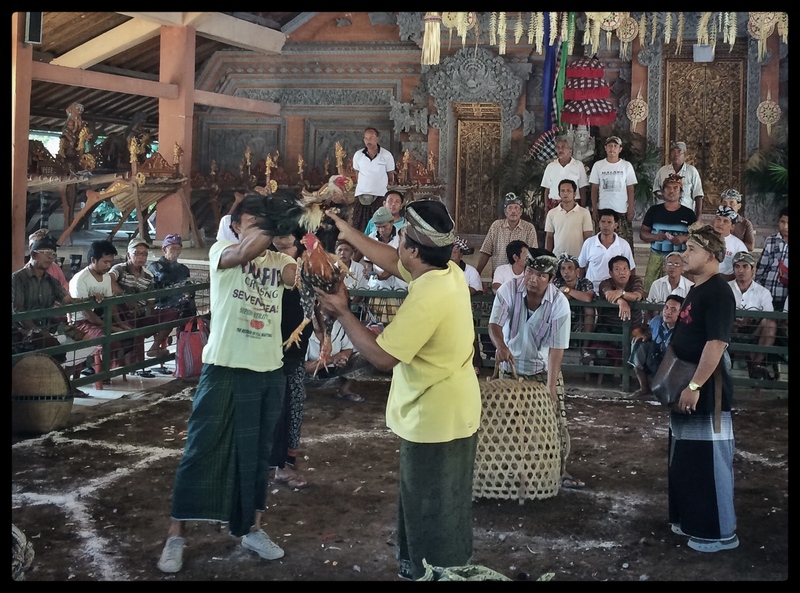 According to anthropology theory cockfights are a way to channel the ancient Balinese tribal warrior spirit in a less violent way in this modern world. Unfortunately, channeling the warrior spirit does not bode well for the poor roosters. As I saw one more bird bleed to death on the dirt floor after a fight lasting perhaps a dozen seconds, I could not help but wonder: if according to Hindu belief any unnecessary death or violence increases a person’s karma, and the only way to find bliss is to shed all karma, what does such endless bloodspilling on a sacred temple floor cause?